More and more people are switching to prepaid cell phones from standard contracts, but they're also demanding more choices. These Samsung handsets are one way Tracfone is trying to meet those demands. and the T245g basic flip phone. Below, you can find a quick description of each phone and a link to the full review if available. The Samsung Galaxy Centura is one of the five Android phones available from Tracfone along with the new data cards that supplement the regular airtime cards. 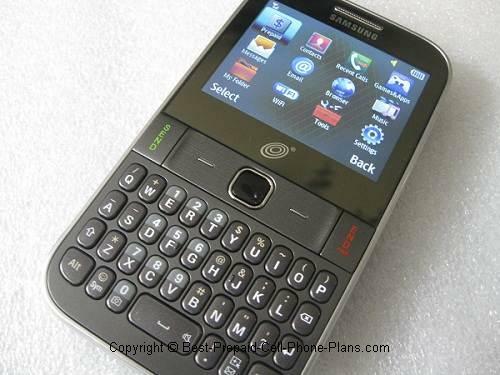 The latest triple minutes phone, the Samsung S390G, has a vertically-oriented QWERTY keyboard and 2 MP camera. It has WiFi capability, so you don't have to use your airtime for data when you have access to local network. It's also a triple minutes phone. A good value at $49.99 and a new way to go wireless without contracts . Refurbished version is 19.99. The Samsung R455C slider has a 1.3 megapixel camera and a QWERTY keyboard. This triple minutes phone apparently runs on the Verizon network. The Samsung T404g and S425G slider phones come with a 2MP camera and music player. They also comes with triple minutes for life so each minute of airtime you buy is worth three minutes when added to these phones. The T245g flip phone and the S125G and S150g candy-bar style phone provide basic features and good reliability. The only thing missing from this selection is a touchscreen. For that you have to look at LG or Motorola. Otherwise, you should be able to find a Samsung Tracfone from this collection that fits your needs. The basic Samsung T101g and its immediate successor, the T105g are basic, lightweight phones with up to 19 days standby time, making it a good candidate for a phone you’re not going to use very often. The T101g was replaced by the T105g. The Samsung T155g flip phone adds mobile web access to its basic features. This phone was also marketed separately as a Senior Value Cell Phone (SVC) in some retail stores but has been replaced by the Alcatel Big Easy.